A 2018 TEXAS LONE STAR READING LIST PICK! Henry H. Neff’s new high-stakes middle grade fantasy follows two unlikely allies as they confront a conspiracy that will shake the world of Impyrium to its core. Henry H. Neff grew up outside Chicago but now lives in Montclair, New Jersey, with his wife and two children. 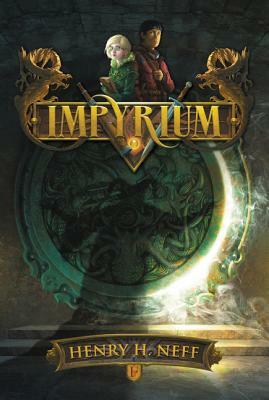 Impyrium is Henry’s second fantasy series. His first series, the Tapestry, is a five-book epic that follows the life and adventures of Max McDaniels. To learn more, please visit www.henryhneff.com. “Grade: A. Neff expertly crafts a world that is both stunning in its detail, and impressive in scope...the novel is packed with both story and high stakes as both Hazel and Hob are forced to deal with not just peer rivalry and academic difficulties, but also class disparity, civil unrest, and societal expectations. In this way Neff has created not just a world that not only exists on its own, but one readers will be eager to return to.